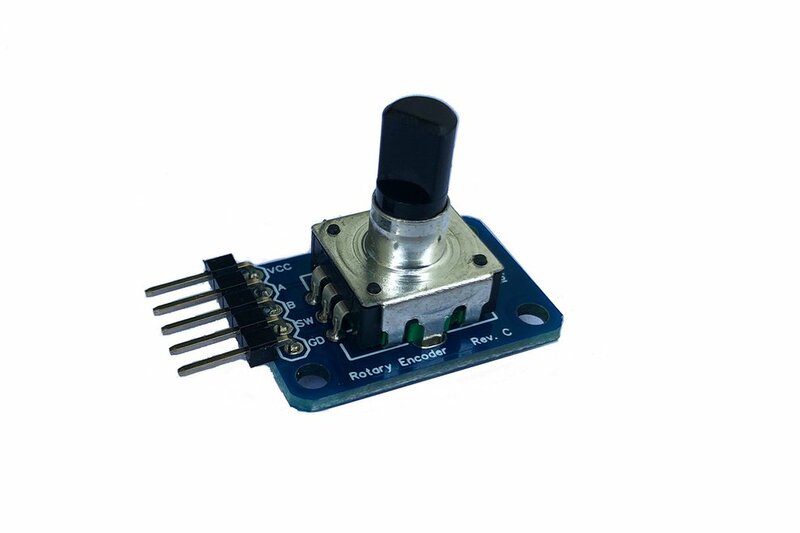 If you would like to include a rotary encoder with the board, select "With Bourns Rotary Encoder"
Rotary encoders are amazing in many applications but bouncing issues cause problems reading values and make them unsafe to connect to an interrupt pin of a micro-controller. Lots of CPU power is lost trying to poll and debounce using code. 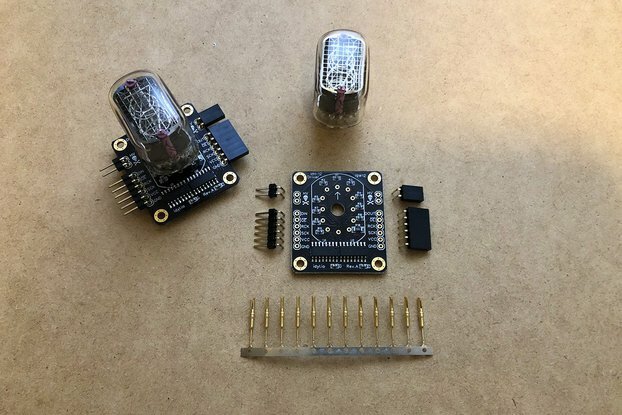 These bounces are filtered with a RC network filter and a Schmitt trigger gate, making it completely clean and easy to integrate in your projects without over-burdening your micro-controller with software tricks. This is even more relevant when dealing with low end 8 bit chips such as the atmega in the Arduino Uno where every CPU clock matters. 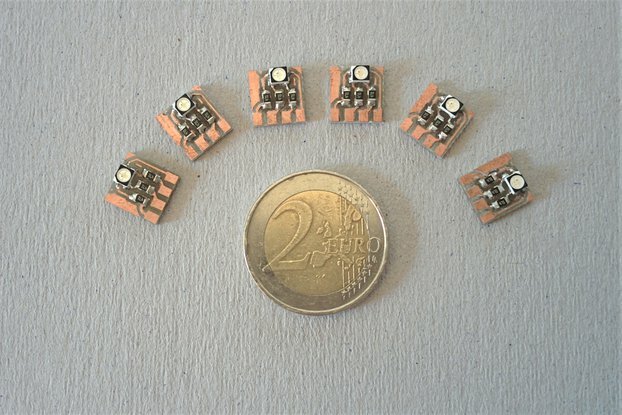 High quality components: X7R capacitors from Samsung, 74LVC1G14 from Didoes Inc.
Schmitt trigger action: safe to connect to an interrupt pin of a micro-controller. 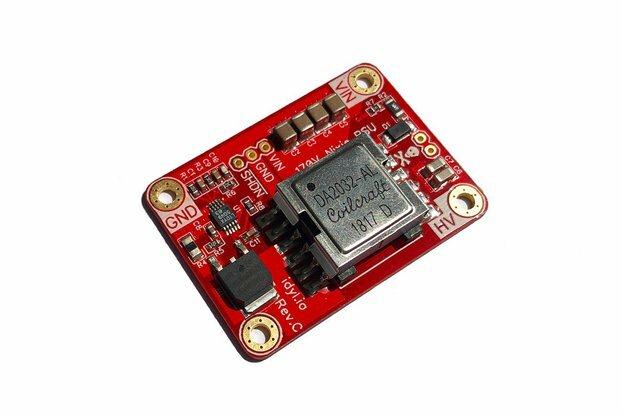 Low Voltage CMOS (LVC) logic family: Compatible with 1.8V, 3.3V and 5V logic levels at extremely high speeds. 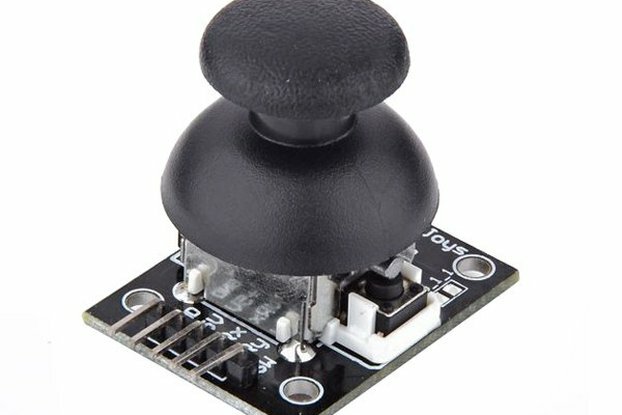 M2.5 mounting screw holes: Easily add the encoder to your projects and enclosures. RoHS compliant: Assembled with high quality SAC305 (Tin-Silver-Copper) lead-free solder. 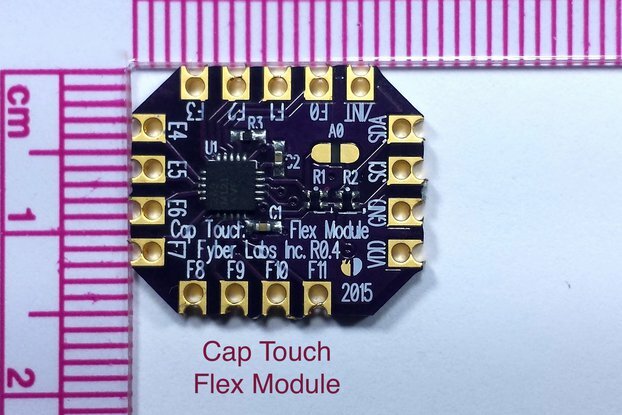 Additionally, the module comes with a standard 5 pin right angle header that will make it easy to connect to a microcontroller. Through hole components come Not soldered.